Obituary for Francis J. Farrelly | Wyman-Fisher Funeral Home Inc.
Francis J. Farrelly, a longtime resident of Pearl River, NY, passed away on March 19, 2019. Frank was born and raised in the Bronx before being drafted into the U.S. Army, where he served his nation from 1966 to 1968, including wartime service in Vietnam. 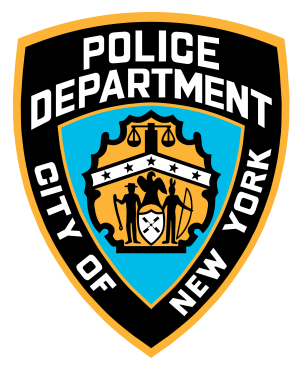 Upon his return to civilian life, Frank became a proud member of the NYPD, where he worked in many commands and retired as a Detective Sergeant in the Intelligence Division after 22 years on the job. Following his NYPD retirement, he worked another two decades for UBS in corporate security and investigations, and concluded his working time at Broadacres Golf Course. Frank was an active member of the Rockland County Shields, the Hudson Valley 1013 Association, the Mid-Hudson FOP, American Legion Post 329, the VFW, and the Ancient Order of Hibernians. He was admired and loved by all who knew him and renowned for his razor sharp sense of humor. Frank is survived by his loving wife of 49 years, Patricia, daughters Anne Marie Lynch (Michael), Christine Farrelly-Pigat (Dennis), and sons Francis Jr. (Carrie), and Kevin. Frank was a loving “Poppa” to his eleven grandchildren, who he adored deeply and was universally adored by in return, his brothers Eugene and Raymond, many nieces and nephews, and his brother-in-law, Paul. A wake will be held at Wyman-Fisher Funeral Home on Saturday (3/23) and Sunday (3/24) from 3pm to 7pm. Frank’s funeral will be held 10am Monday (3/25) at the Church of St. Anthony in Nanuet, NY. Interment will follow at the Frederick Loescher Veterans’ Cemetery in New Hempstead, NY. In lieu of flowers, the family requests donations to be made to the Stephen Siller Tunnel to Towers Foundation.